1 Watch-face: 8 different watches. New: Swapping faces with your wrist! Battery charging history! In-Watch Setting! 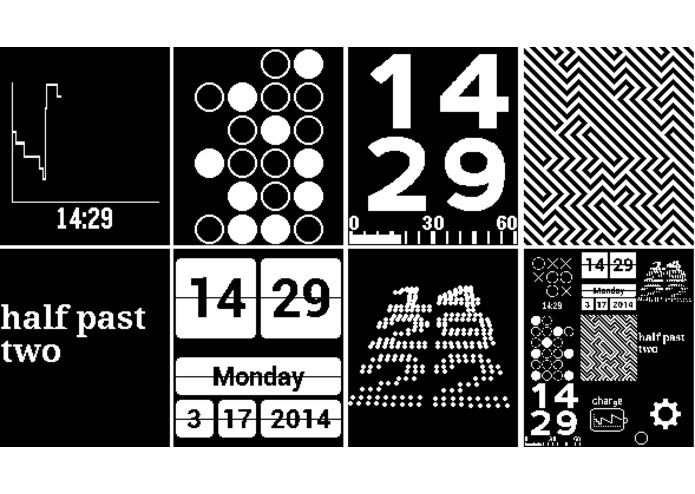 One Watch-face contain eight different watch-faces. New: Control swapping watch-faces with your wrist ! New: Graph of Battery charging history ! 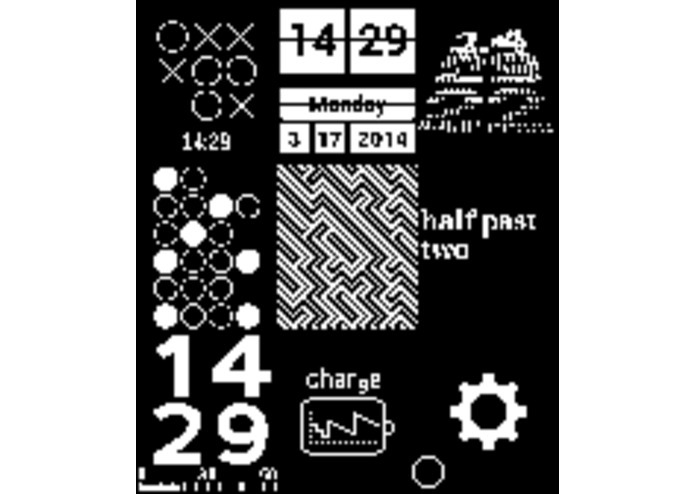 New: Easy Setting update within the watch-face Save slots on your Pebble with this one that include many.